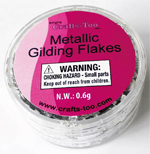 Gold Metallic Gilding Flakes. 0.6g. 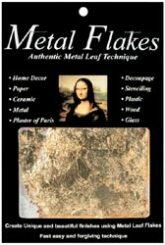 Metal Leaf micro-thin sheets or flakes are composition metal used in the technique of leafing for decoupage, stenciling, and other home decor projects. 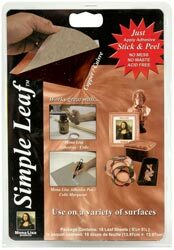 Can be used on plastic, wood, glass, paper, metal, ceramic and plaster of Paris. 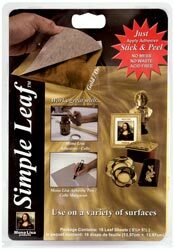 Metal Flakes give a completely different effect than traditional leaf sheets. 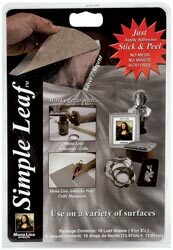 5.5"X5.5" - 18 sheets per pack.